We use dental composite resins, such as Tokuyama Dental (Japan) and Parkell (USA) that contain silicon-zirconium and composite fillers with submicron-sized particles. To perform restoration properly, it is very important to have special complexes in adhesive systems of these materials. This prevents the development of caries under the restorative material, as well as increased tooth sensitivity in the future. Due to their high strength and premium aesthetics, it is possible to apply these composites to any group of teeth (both front and side) regardless of the defects. Chief doctor of the center. DDTA. Specializes in aesthetic dentistry, parodontics, dental prosthetics and endodontics, plasmotherapeutic in dentistry and plasmolifting in cosmetology. Specializes in aesthetic prosthetics and restoration, dental plasmotherapy, cosmetological plasmolifting, endodontics, periodontology. Co-founder and physician inchief of the family dental center iStomatolog since 2015. Together with the dental team provides free medical care to ATO soldiers. Due to that received numerous awards. And received a rewards from Ukrainian Ministry of Defence. Since 2003 been improving the level of qualification and professional skills, following up on the latest technologies and achievements in the field of aesthetic dentistry, prosthetics, periodontics, endodontics and cosmetology, attends master classes of leading dental specialists from around the world, actively participates in international dental conferences and symposiums. What will a patient get with the restoration? Transparency and color, identical to healthy tooth tissues. We use dental composite resins, such as Tokuyama Dental (Japan) and Parkell (USA) that contain silicon-zirconium and composite fillers with submicron-sized particles. To perform restoration properly, it is very important to have special complexes in adhesive systems of these materials. This prevents the development of caries under the restorative material, as well as increased tooth sensitivity in the future. 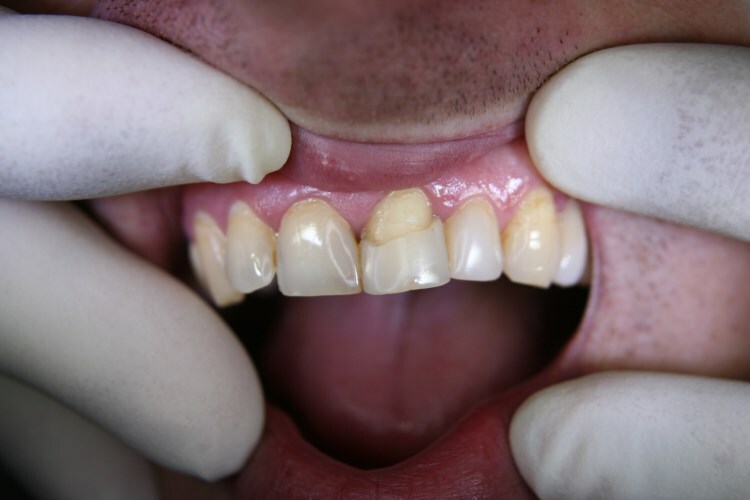 How is the aesthetic restoration with the Parkell and Tokuyama composites performed? Determining color, transparency and shape of a future artistic restoration in agreement with a patient. If a large volume of restoration work with changes in tooth shape, size and position in the dental arcade is required, a preliminary model is made to elaborate all details, while the patient can see what his teeth will look like and thus, can make corrections. Putting a rubber dam isolating system. 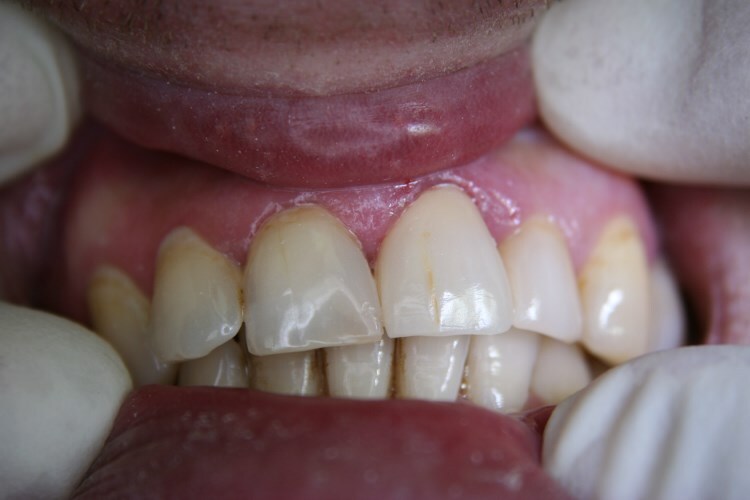 Coating the tooth surface with an acid-based gel to remove trace micro particles and to create necessary conditions for applying an adhesive system. Application of the adhesive system to the tooth surface. Layering with composites and exposure of each layer to the light of a photopolymer lamp. Application of special sealant to the finished restoration. Final polishing with pastes of varying abrasiveness degrees. articulation defects and so on. How much does the aesthetic composite restoration cost? You can find out the cost of aesthetic tooth restoration during a free consultation directly at our iStomatolog center. Our dentist can select the best method of restoration and inform you about the precise cost.